Well, what a great first half of the season. The sun was shining, the sausages sizzled, the smell of curries wafted, the games were not played in mud, the cheers from the sidelines were full of encouragement, excitement and sometimes disappointment – this is Majura FC. I think it’s very important to say well done to all the Age Group Coordinators, Coaches, Managers, Referees, weekend helpers, parents/carers, canteen helpers and of course my Committee team (if I have left anyone out you know who you are). 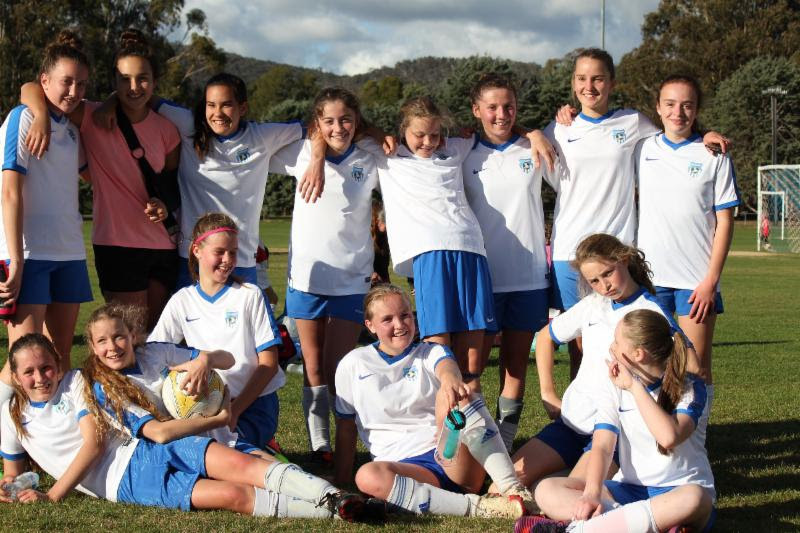 This is your Club and Majura FC is well known in Canberra for its wonderful spirit and it has certainly shone through. Congratulations to the Majura teams and referees that participated in the Kanga Cup. It was a great week with many successes and personal achievements. And now it’s back to the second half of the season starting this Saturday 22 July. I look forward to seeing you all. I’m at the fields every Saturday either doing set up, helping at the BBQ or enjoying one of Rhonda’s famous curries, so if you want to talk about anything at the club then come and say hello. Reminder about Parking, Dogs and Golf Practice! Just a reminder that parking inspectors are regular visitors at the Dickson Playing Fields on game days. Please make sure you park legally and don’t park on the median strip on Antill St. Please also do not park on the Dickson College grassed area next to the fields. There is a large carpark at the College which is available for parking so please use it. You are allowed to bring your dog on game days but they must be on a lead and are not allowed to be let off at any time. We have had several games interrupted by dogs entering the field of play. Unfortunately, we have also had a few incidents with people practising golf while games are being played. This is not allowed by ACT Sportsgrounds for obvious reasons. If you see anyone Hitting golf balls on game day or at training, then please report it to a committee member at the clubhouse straight away.